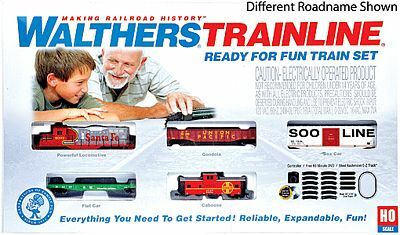 The Ready For Fun CSX is a Complete & Ready to Run Electric Train Set from Walthers Trainline. Retail $210.00 SAVE 16% ! Trainline sets deliver reliable, expandable fun! Check out the Locomotives, Freight Cars and Structures for additional ideas!